The world has lost one of its most loving and compassionate members. 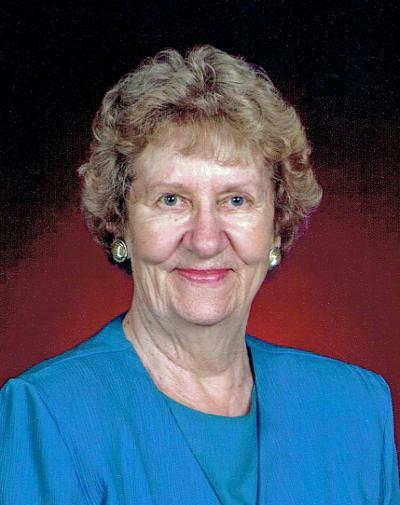 Eleanor Jean Holcombe Hoy, age 92, of North Syracuse died March 30, 2019. She was born in Chateaugay, NY, the daughter of Lester and Florence Holcombe. Jean graduated from the Cadet Nurse Corps at Plattsburgh State College in 1947. She was employed as a nurse at the Alice Hyde Hospital in Malone for 2 years and as a school nurse in the North Syracuse Central School District from 1969, including Cicero North Syracuse High School from 1971 until her retirement in 1991. In 1949 Jean married Norman Adams Hoy, living in Brainardsville, Brewerton, and raising their family in North Syracuse. She was a member of Andrews Memorial United Methodist Church and its Women’s Society. Jean and her husband were a presenting team in United Methodist Marriage Encounter, being the Executive Lay Couple for New York and Connecticut from 1984 to 1988. She and her family enjoyed summers at Cross Lake. Jean was predeceased by her husband of 64 years, Norman, in 2013, son James in 2009, parents, sisters Edna Lafountain, Ruth Heffernan Dramis, and brother Howard Holcombe. Jean (Nannie) had a heart of gold which is especially appreciated by her family: son Norman Allen Hoy (Barbara) of Baldwinsville, daughter Linda Barzee (Bill) of Cicero, and daughter-in-law Teresa Hoy of Tully; 9 grandchildren: Richard Hoy (Becca) of Sahuarita, AZ, Jeffrey Hoy (Melanie) of Gibsonia, PA, Christopher Hoy of Baldwinsville, Bethany Gingerich (Robert) of Sykesville, MD, Jordan Barzee (Breanne) of Cicero, Cherith Barzee of Palm Coast, FL, Saio Barzee of Elmira, Kate Kramer (Sean) of Randolf, VT, and Jesse Hoy (Shanna) of Milwaukee, WI; 14 great-grandchildren: Emilie and David Hoy and their mother Kate Forbes Hoy of Baldwinsville, Jackson, Zachary, and Theodore Hoy, Anastasia, Allegra, and Acadia Hoy, Julian Barzee, Walter, Eden, and Ivy Gingerich, Jude and Eliza Kramer.